With every new year comes new trends. This year will be no different. We’ll see trends and practices such as long scrolling pages continue to grow in popularity, while others will be phased out. (I’m looking at you Flash). 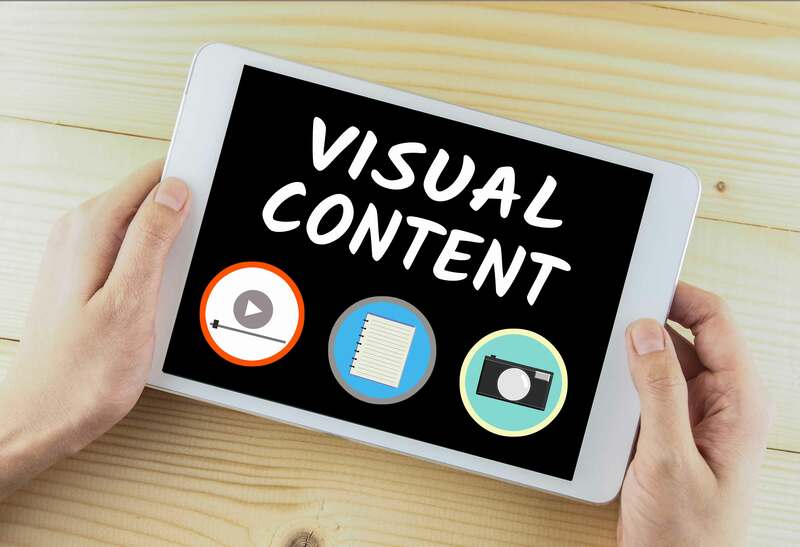 Visual content marketing has been on the rise since 2013 and shows no signs of slowing down in 2017. The surge of video and other new mediums that make it easier to communicate with people have played a major role in keeping this trend in the spotlight. In fact, according to an article published by HubSpot, people are more likely to retain and engage with content when it is paired with a relevant image. Taking note, Venngage, an infographic creation platform, surveyed over 300 marketing professionals to see just how much of a role visual content plays in their marketing strategies. When asked what kind of visuals were most frequently produced 35% of marketers said that they used stock photos the most, followed by 30.4% saying they used original graphics, such as infographics, the most. 31.7% of those surveyed said that visual content was integral to their 2017 marketing strategy. When asked how much marketers projected to spend on visual content in 2017, 35.5% predicted they would spend more than a third of their entire budget on visual content. The stats produced by the Venngage team prove that visual content is a trend that’s here to stay in 2017.